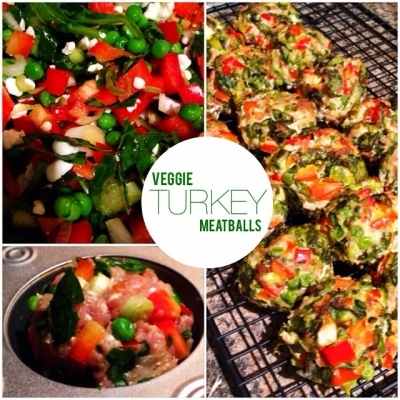 Delicious veggie packed meatballs so flavorful you don't even need to add spices! Pre heat oven to 375 and lightly spray muffin tins with some extra virgin olive oil cooking spray. Dice up all whole veggies and combine with all remaining ingredients in one large bowl. Roll the mixture into 18 balls and place each one in the muffin tin. Perfect on their own, or pack up with some raw veggies for a mid day snack!